The Tangram Playing Cards, is a beautiful tribute to one of the most popular dissection puzzles in the world. Used as entertainment as early as the Song Dynasty, these delightful shapes create a multitude of memorable designs. Each card back features 2 koi fish swimming in an aqua blue green pool of geometric shapes. The trailing water is a perfect swirl for flourishing or a centerpiece for predictions. 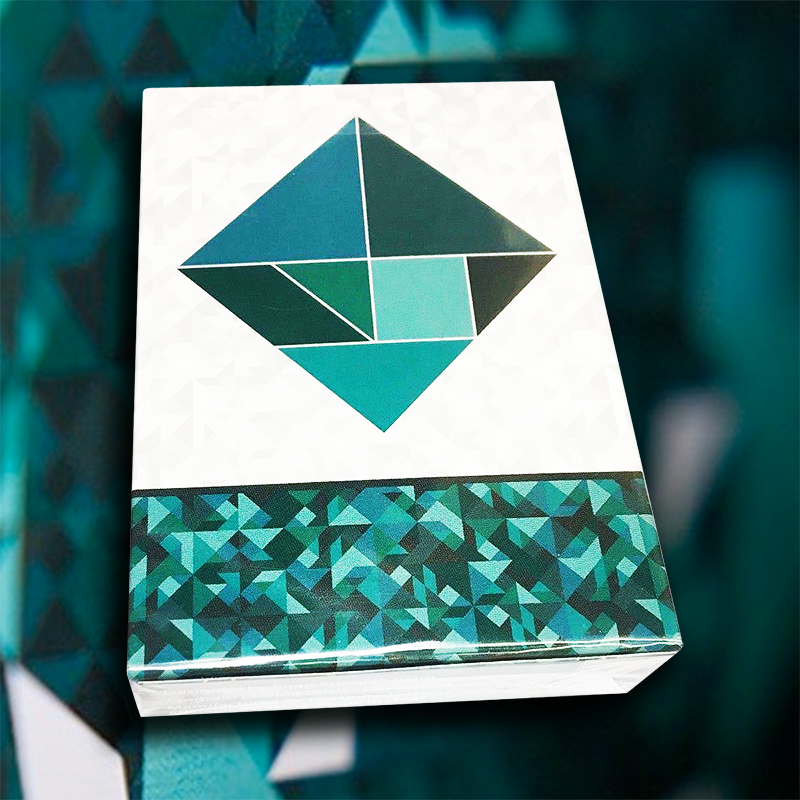 The custom pips and court cards creatively utilize the Tangram shapes to create a unique design for each of the card faces. The tuck features the traditional Tangram dissection puzzle in a diamond placed on a grey and white background, hovering over a horizon of green hues. The tuck side pays tribute to the Tangram puzzle known as THE SEVEN STONES OF WISDOM. - Printed by USPCC. - Custom pips and court cards reinforce the Tangram designs. - Extra-large pips. - 2 Jokers. Tangram puzzle and guide, where seven flat shapes, called tans, are put together to form a variety of shapes without overlapping • The cards are poker size.